Our passage deals with a period in Israel’s history in which David was destined to live. The people had previously decided they would rather have a man lead them than God. Samuel the prophet grieved over this decision. God simply told him, “Heed the voice of the people in all that they say to you; for they have not rejected you, but they have rejected Me, that I should not reign over them.” (1 Samuel 8:7 NKJV) This is a way of saying that the people did not want to receive and follow direct orders from God. They wanted a middle man that they could manipulate or influence. God needed a man that would inquire of Him in all of their decision making. He needed a faithful representative on the earth. This would prove to be a challenge from day one. When God called His people Israel out of Egypt and into the Promised Land, He instructed them to hearken diligently to His voice. This was true with Moses and Joshua — as well as with the judges. God never changed His mind about expecting His people Israel to obey His voice. Whereas the first king of Israel Saul was a man who sought to please the people, David, the second king of Israel, was a man after God’s own heart. He would turn on a dime when God spoke to Him. This means that David desired to know and do God’s will more than anything else. He was not a perfect man, but there were many occasions when David was a living demonstration of God’s character. These facts make for an interesting paradox. David served God — yet our passage tells us he served his generation. What are we to make of these things? We might have expected Acts 13:36 to say that king Saul served his generation and fell asleep. But did he? From a certain point of view, we may say that he did. He served as king and did some things. However, what does it mean to serve our generation by the will of God? Does it mean that we are slaves to our generation? Do we take our orders from our generation? Must we conform to our generation in order to serve it? The answer to these questions is clearly, no. This is not what God meant when He said that David served his generation. He served his generation by the counsel of God — not his own counsel. This sentence made so powerful an impression upon Saul, that he confessed, “I have sinned: for I have transgressed the command of the Lord and thy words, because I feared the people, and hearkened to their voice.” (1 Samuel 15:24) But these last words, with which he endeavoured to make his sin appear as small as possible, show that the consciousness of his guilt did not go very deep. Even if the people had really desired that the best of the cattle should be spared, he ought not as king to have given his consent to their wish, since God had commanded that they should all be banned (i.e., destroyed); and even though he has yielded from weakness, this weakness could not lessen his guilt before God. This repentance, therefore, was rather the effect of alarm at the rejection which had been announced to him, than the fruit of any genuine consciousness of sin. (Keil & D.)Saul refused to honor the Lord and take responsibility for his actions. He downplayed his sin — not realizing that God expected a genuine confession. He would not acknowledge what he had done and in turn taught his generation to do the same. God intervened by rejecting Him. Samuel followed this up by refusing to be identified with Saul. This did not mean that Samuel hated Saul; quite the contrary. He wept for the man all night. It meant that Samuel’s concern was God-wards. In the 1970’s, a famous comedian popularized the phrase, “The devil made me do it.” Saul may as well have said, ” The people made me do it. ” He had no Godly sorrow for his sin. Samuel had a God-wards grief for what Saul had become. However, Saul had no God-wards sorrow at all. He was only concerned with how the sin would affect his reputation and rapport with the people. His concern was horizontal — not vertical. Our verse states categorically, “For David, after he had served his own generation by the will of God, fell asleep.” The key phrase is “by the will of God.” David was God’s man for his generation. He was a personification of the will of God in one respect. God had called and equipped him. Moreover, he endeavored to do God’s will. When he sinned, he agreed with God. He let God be true. He confessed and forsook his sins. All of these things are examples of a man doing the will of God under the circumstances. Some will say, “Well, it was not God’s will for David to commit adultery or number Israel.” This is true. However, when he recognized his error, he obeyed God’s directives and received his punishments. Saul followed his sin up with the sin of passing the blame. On the contrary, David placed the full weight of the blame for his sins on himself. In this way “he served” — “he did a great service to his generation.” We see then that the only way to serve rightly our generation is to do the will of God. David served God and in serving Him he served the people. It is no service for any person to serve the people independent of God and His will for them. David had a zeal for God that Saul knew nothing about. He was zealous for God’s honor. This is one of the reasons why he faced the Giant. God was being shamed because of the cowardice and lack of faith in Saul. 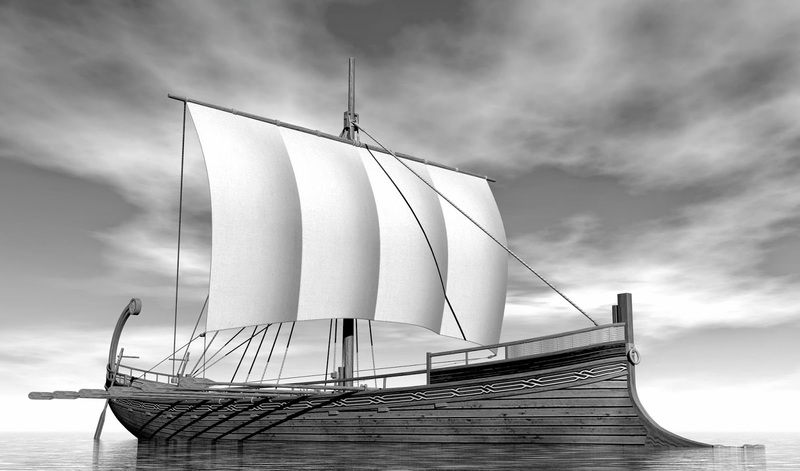 I’m reminded of an old naval quote, “I wish to have no connection with any ship that does not sail fast, for I intend to go in harm’s way.” David was the type of man who would not furl the sails. He would allow the will of God to carry him whithersoever God desired. Not his own will mistaken as God’s will, but by the very counsel of God David served his generation and then fell asleep. This is all any of us can hope to do. We can do no more. Our influence may be felt in future generations, but we can only serve our generation. May we do it faithfully, as David, according to the counsel of God.